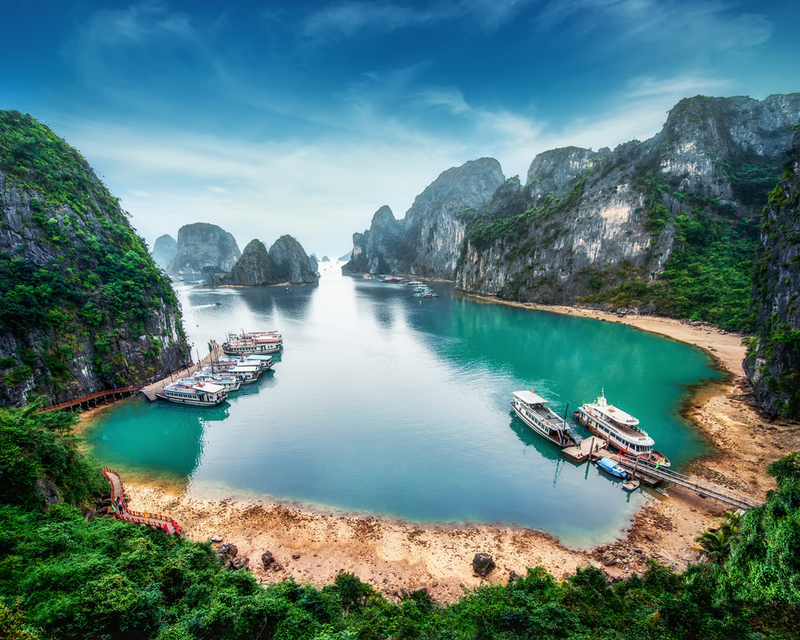 Considering the vast area, the best places to see in Southeast Asia before you die will surely exceed eight places, but if you are a first timer in Southeast Asia, this list will surely light that fire to book a flight and go. With so many places to visit in Indonesia before you die, as well as Vietnam, Thailand, and The Philippines, it’s impossible to eliminate this area from your life travels. The culture is rich and dates back to hundreds of years ago. The views are nothing short of remarkable and magnificent. The beaches will entice even the fussiest beach bum, and the adventure-seeker will have no troubles feeling right at home with some the choices on this list. Trekking, volcanoes, boat rides, and motorbiking around towns will cure your thirst for excitement. Considering all the fantastic places you can enjoy while visiting this region, you will be surprised that your money will go further than you would think. This region is known for being budget-friendly, so feel free to stay a bit longer than you anticipated. The countries on this list all have amazing towns and sites to enjoy, so don’t think this is it. We have one top destination from only some of the countries in Southeast Asia, let this list start off your journey now, so you have more time to see the rest of these great countries. Here are some of the best places to see in Southeast Asia before you die. 8 Best Places To See In Southeast Asia Before You Die Bagan Bali best places in Southeast Asia best places to see in Southeast Asia Breathtaking Places in Southeast Asia Bromo- Tengger-Semeru National Park Cambodia cheap places to visit Southeast Asia Chiang Mai Halong Bay Ifugao Rice terraces Indonesia Java malaysia Most Popular Destinations To See in Southeast Asia Myanmar Nice places to visit in Southeast Asia Penang Philippines places to visit in Indonesia before you die Siem Reap Slideshow Southeast Asia as a safe place to visit Southeast Asia for holiday Thailand top places to go Southeast Asia vacationing in Southeast Asia Vietnam what are the safest places in Southeast Asia to see?